In January, RBC and RU Student Life awarded Stefany Nieto, President of Enactus Ryerson, a student entrepreneurial organization at Ryerson, $1000 for her New Year’s Resolution to create a project that would improve the quality of life of residents of Northern Canada. We caught up with Stefany to hear about the progress of the project, Growing North. Northern communities pay 4 times more for herbs, fruits, and fresh vegetables than the average Canadian. With temperatures reaching below negative 30 degrees celsius, it is impossible to grow food outdoors. Due to high food costs, 60% of parents in Repulse Bay reported not being able to feed their children for an entire day and 35% of Nunavut lives in severe food insecurity. The sole option for such communities to receive produce involves highly inefficient and expensive transportation. Growing North’s mission is to provide fresh, locally grown produce to families in northern Canada. It is designed to empower Inuit individuals through the construction of a geodesic greenhouse dome and the delivery of education. Growing North will be able to produce over 11, 000lbs of fresh herbs, fruits, and vegetables while reducing costs by up to 51% and feeding up to 53% of the community. This project will be maintained by the school’s students and teachers and enable the community to grow the local economy through additional jobs and exportation opportunities. The dome will utilize solar energy to heat itself to optimal temperatures, with integrative vertical hydroponic towers, to produce affordable and nutritious fresh produce in Repulse Bay. Here are four brief updates that have occurred over the past few months. 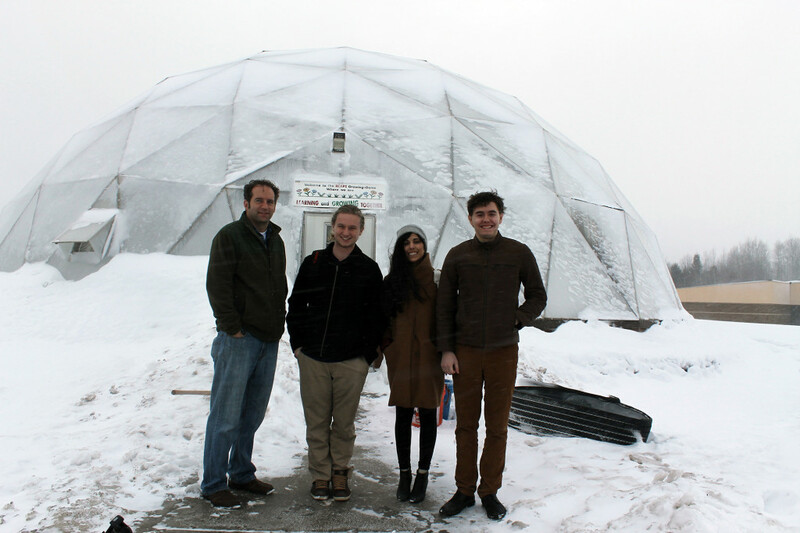 We have partnered with the only Repulse Bay school to create a new curriculum based upon the dome’s operations. The teacher of the class and its students will be in charge of managing and maintaining the dome. We just raised $201,340 in cash and in-kind sponsorship towards our initiative! This leaves us to raise just over $40,000 to cover all of our expenses and capital costs. Our next steps include raising the full funding by late May, purchasing the equipment in June, shipping the equipment in July, and building the greenhouse in August. Our project is still developing. We have raised $201k and we’re still trying to raise the last $40K needed. Our timeline includes raising the full funding by late May, purchasing the equipment in June, shipping the equipment in July, and building the greenhouse in August! RU Student Life and RBC Canada wish Stefany and her project partners luck in their further fundraising intitiatives. 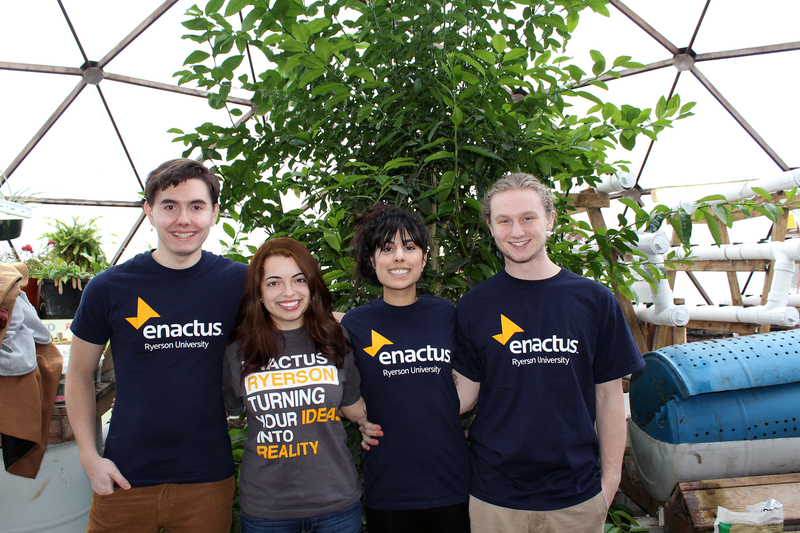 For more information about Growing North and Enactus Ryerson, see here.